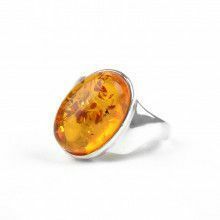 This ring is made with one fabulous 100% genuine honey amber stone that is about 3/4" x 3/8" in size. 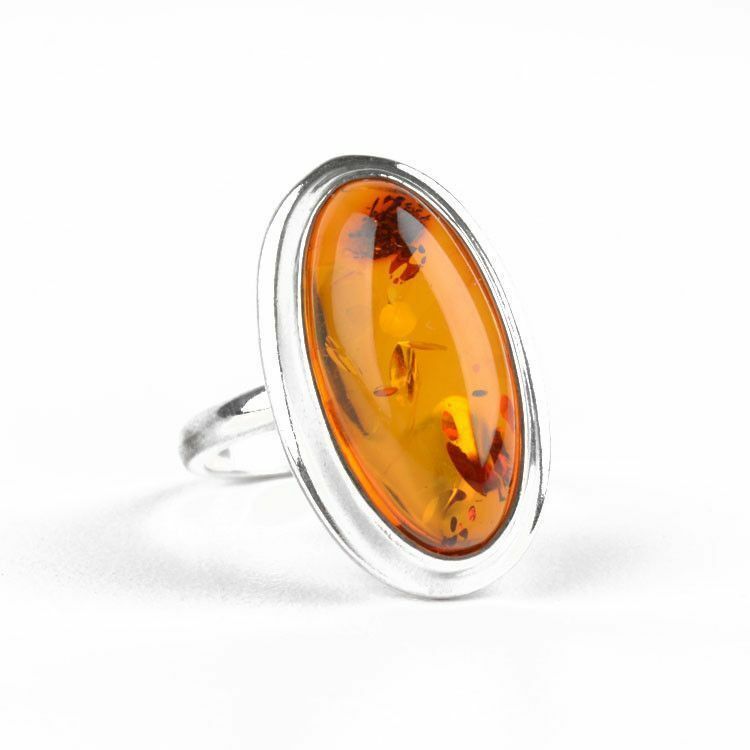 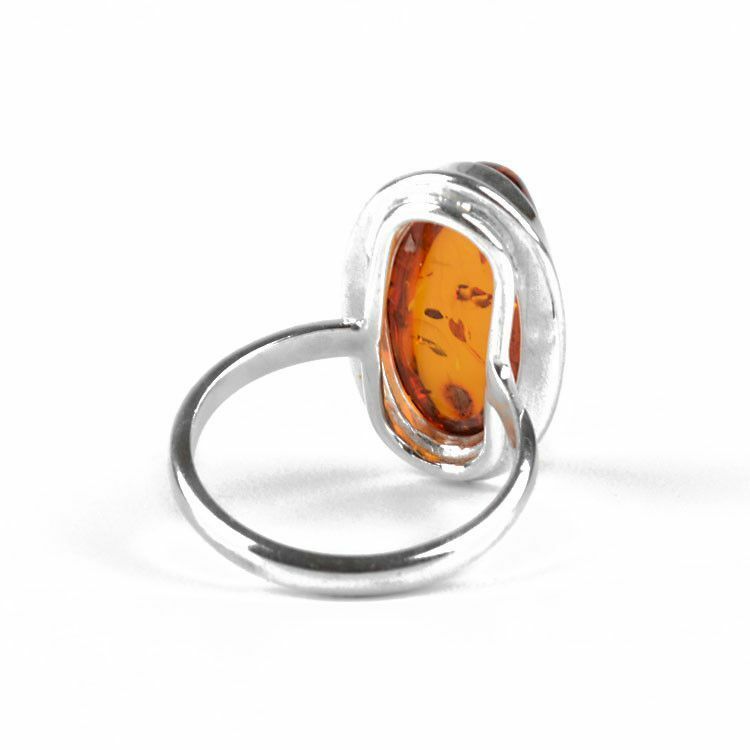 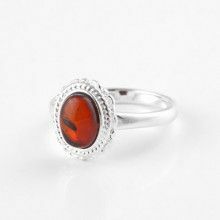 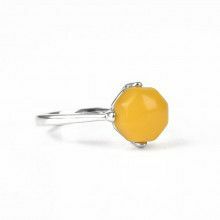 The oval amber stone, set in sterling silver, sits about 1/4" off of the finger, which helps it to glow easily and wonderfully. 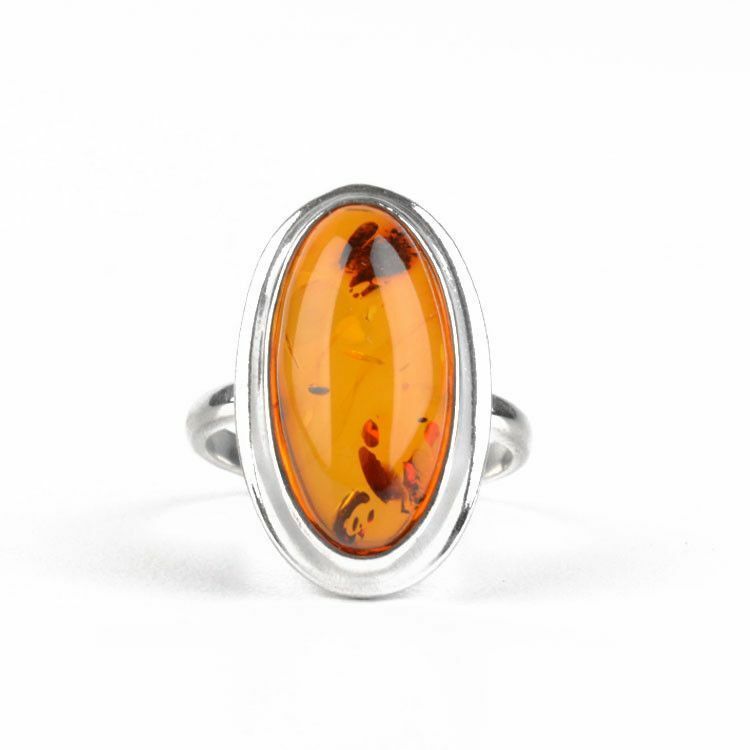 This classic design ring is an excellent choice for nearly anyone, any day! 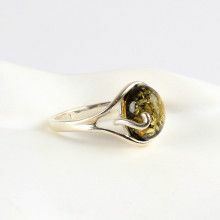 Stone is about 3/4" x 3/8"